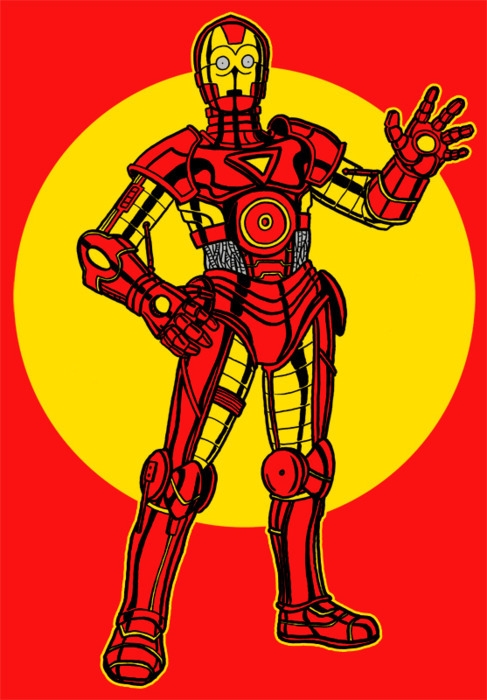 You gotta love this C-3PO/Iron Man mashup by Gadget WK. He is a very talented artist, and his blog has some cool stuff. He also promises that this is the first in some Marvel/Star Wars mashups he has planned. Lets see what he comes up with in the future!! !